We're having so much fun sharing our new custom paper products by Dawn Kelly Designs this month! 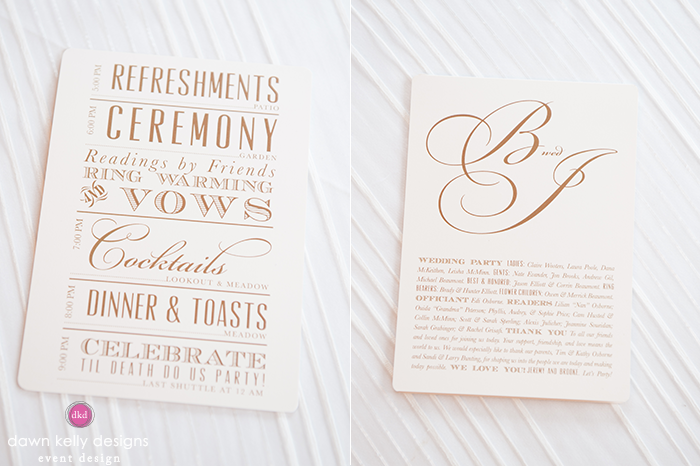 Today we're taking a look at custom ceremony paper. Wedding programs are a great way to let your guests know what your ceremony is all about, who is in your bridal party and thank your guests for being there to celebrate with you. 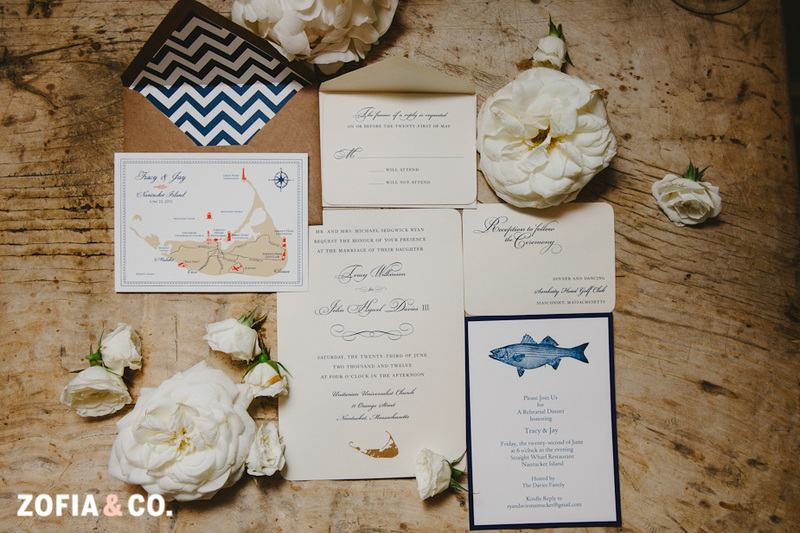 No matter what your wedding style - casual, formal, a mix of both - we can work with you to design the perfect paper products for your wedding. Here are two examples, one more formal and elegant and the other is still elegant yet a little playful, too! 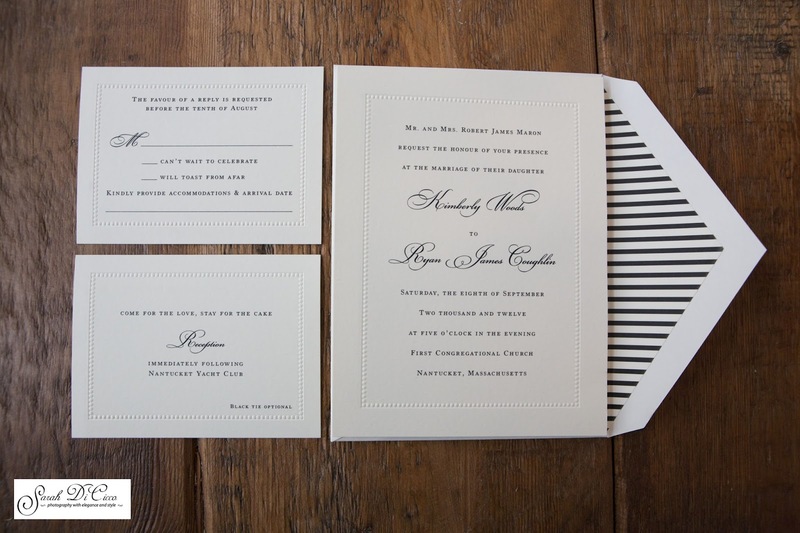 These are just examples of what's possible when you hire us and our exclusive stationer to design your wedding paper products. If you missed our first two posts on custom wedding signs and table numbers, be sure to check them out! We offer an array of design packages to fit your wedding needs, so if you're already one of our brides, or looking to hire us, make sure to inquire about our packages to see which one best fits you and your wedding. 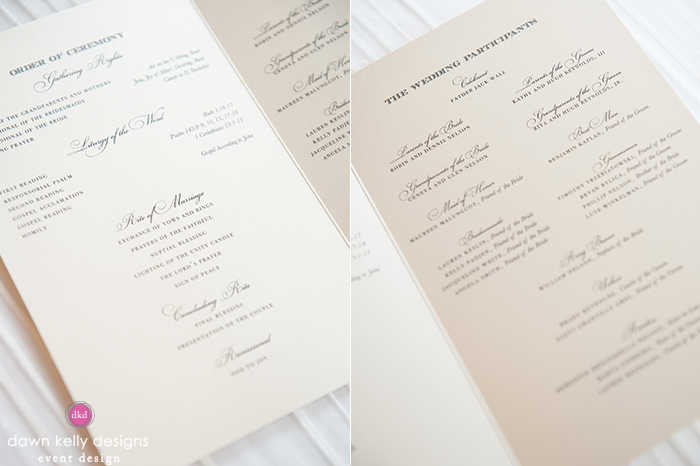 Keep a look out on Tuesday of next week - we'll be sharing details on custom designed menus through our design studio!